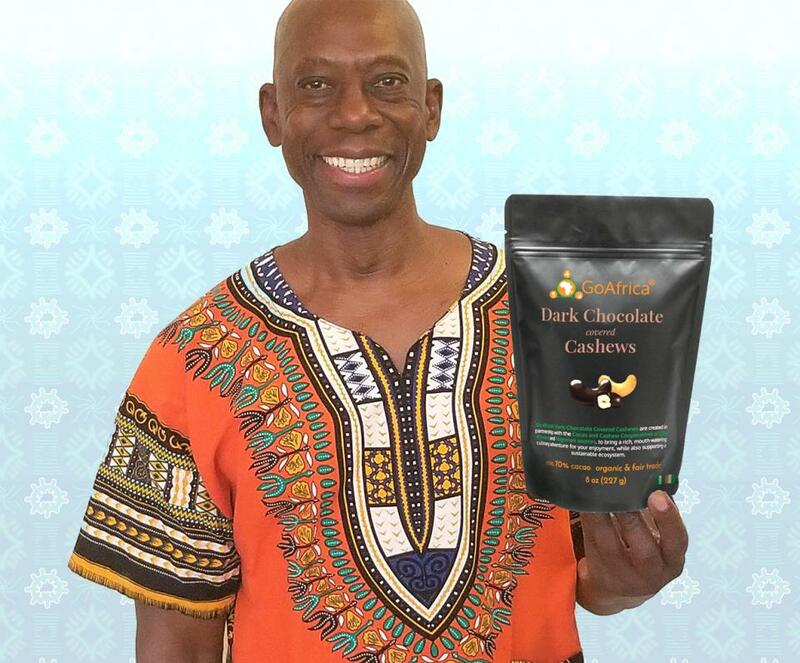 A loan of $10,000 helped formally Launch Go Africa® Dark Chocolate Covered Cashews nationwide via amazon.com we currently have had Go Africa Coffee on the market since 2016. I have been in involved in African Affairs and issues for over 10 years. I have worked for large technology companies globally for over 20 years. I discovered in 2015 via a DNA test that I was of 100% African descent (Nigerian, Senegalese, Ivorian, & Cameroonian). This discovery has had a profound impact on myself and my family. Since this discovery, I decided that the best way to help was to engage directly with the people and countries of Africa & Diaspora to provide real solutions that work for people and communities. In this vein, we are sponsoring several local African farmers & cooperative to bring their products to market in a manner that they can see and benefit from the fruits of their efforts in a manner that is different than how such arrangements work with other Corporations. My goal is the further assist African and the African Diaspora communities. in the areas of socio-economic development by leading by example regarding product and business development initiatives in the ecosystem. Go Africa Network Inc. (a 501(c)(3) U.S. based non-profit) endeavors to advance the awareness and socio-economic development of Africa and African diaspora populations through local and international outreach initiatives via the following methods and vehicles. • Direct intervention for training, education, technology, health, and wellness initiatives that are linked to employment in order to facilitate growth, development and progressive self-sustainment of the targeted populous. To date, we have helped over 40,000 individuals & businesses in Africa and the U.S. to increase their success via direct assistance and support methods. In 2017, we provided direct support for Botinde, and Godesso Cocoa producers & cooperatives (Côte d’Ivoire) in the amount of 2,000 to provide direct assistance to local farmers in the region. A Kiva loan helps to formally Launch Go Africa® Dark Chocolate Covered Cashews nationwide via amazon.com Go Africa® Dark Chocolate Covered Cashews are created in partnership with the Cacao and Cashew Cooperatives of Côte d'Ivoire and Nigerian sources. 4,000 would be used for continued product development (R&D) in a collaborative fashion with local Cacao & cashew farmers in Côte d'Ivoire & Nigeria while also supporting a sustainable ecosystem. Why are you endorsing Dr. Dennie? Dr. Dennie of the Go Africa Network has been involved with promoting and growing global trade opportunities within the African Diaspora for some time now. A Kiva loan helps them launch a signature product and bring it to market.